A major life transition is not always expected. Whether the event is a happy one or a sad one, it will inevitably cause a minor amount of chaos. This is especially true when you think about organization. When a loved one dies, how do you sort through their things? How do divorced couples or separating roommates divide their shared items? How do newlyweds or those merging households decide which space and items to share? These questions can be emotional, and while counselors and other professionals can help with the emotional aspect of them, organization while in transition is one of my specialties. Read on for some guidelines on how to keep your space neat when life is not. Losing someone close to you is difficult. Whether it is a parent, grandparents, sibling, or spouse, it often falls to those closest to the deceased to handle their affairs. This can be a long process, especially as memories are often tied to each possession. To help stay organized during this major transition, I recommend sorting your loved one’s things into two distinct categories: practical and sentimental. Practical items include things that you yourself likely already have, such as kitchenware or tools. These items can be passed down to members of the family who might lack such an item, but the rest can be donated or sold. 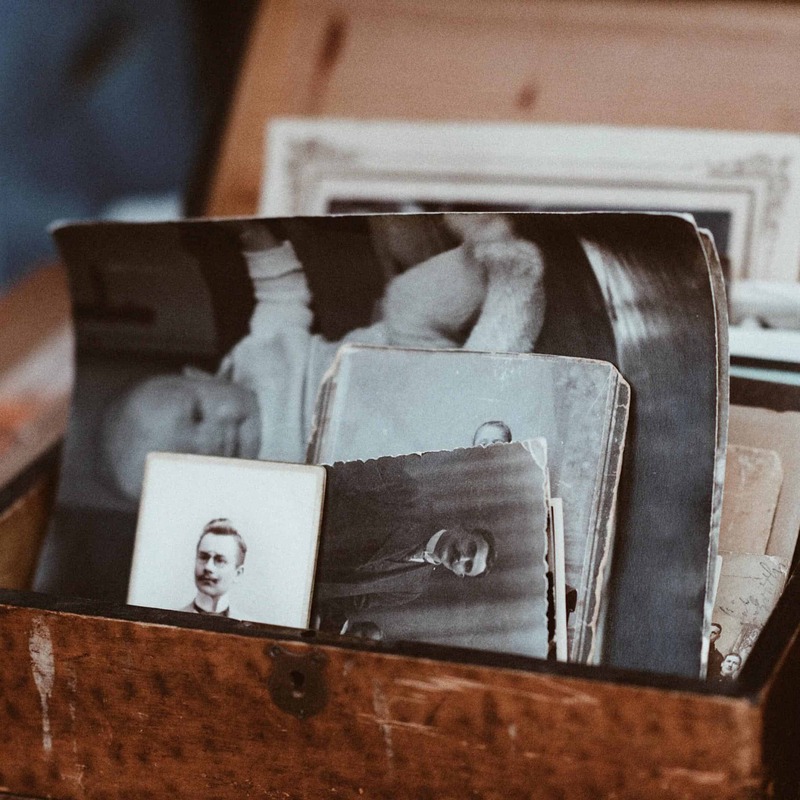 Sentimental items are the ones most closely tied to memories: your loved one’s favorite photographs or family heirlooms. These items require a more careful examination. You can keep them all, certainly, but sometimes they can pile up fast and throw off the balance of your own organized space. In this case, I recommend a special place be dedicated to storing these items. It can be a certain storage bin for “memories” or else a shelf in your storage space dedicated to “grandma’s things,” for example. Artistic items like favorite photos or decorative china can be displayed and integrated into the design of your home. This way, a small reminder of your loved one will be present for all to see, and is simple to organize. There are many reasons why people living together would separate. In many cases, roommates decide to get their own place. Divorce is another reason. Both of these scenarios can cause a whirlwind of disputes when it comes to organizing. People living together often share many items, so when they separate they must decide who gets what. A general rule is that if you paid for it and used it exclusively, then it is yours. This is a simple example. Other times, the cost and usage is split, and it would be unfair for one party to keep the item. For roommates, this can be remedied with a simple payment: whoever keeps the item pays their roommate for the other half, allowing the roommate to buy a duplicate. In divorces, this can be less amicable and of course we have all heard horror stories about divorce court. When dividing your items, it’s best to get those “easy” ones out of the way first. Divide everything in a particular area (going room by room helps) into three piles: Yours, Mine, and Other. Everything in the “Other” pile will need to be evaluated individually, but with the easy ones out of the way, the task is much less daunting. You can apply many of the rules of downsizing to this process. The same way I describe sorting your items in my blog, “Downsizing Made Simple,” you can decide if you truly need them or not. If not, you may offer them to the other party in the separation, and if they also feel they don’t need them, the same options apply as with downsizing. I’d like to end on a happier note and discuss how to stay organized when you’re newly married or moving in with someone. This often calls for some downsizing, as you won’t need duplicates of everything in one household! One area where downsizing might not work so easily is your closet. If you’re transitioning to a home where you’ll be sharing a closet, you want to make sure there is enough room for both people’s clothes without creating a cluttered mess. Luckily, the closet is a problem area for many people and I have lots of tips in my blog “Closet Organizing Made Simple.” Also check my video on the same subject, as seen on TV! When life gets chaotic, don’t let your orderly home become affected by the transition. These tips and more are just a part of my team’s organizing services. So if you need any help for an organized transition, give us a call or an email today!